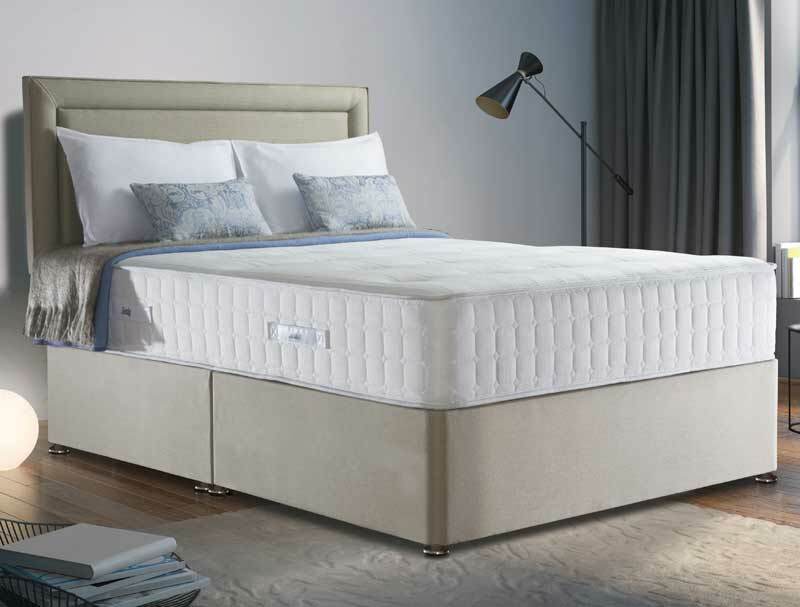 The Sealy Antonio is new and offers the very latest in bed making technology as it uses Geltex. This is an innovative combination of elastic gel and air foam that offers a very supportive sleep without virtually any heat as the open structure of Geltex gives it the performance of memory foam with the coolness of latex. 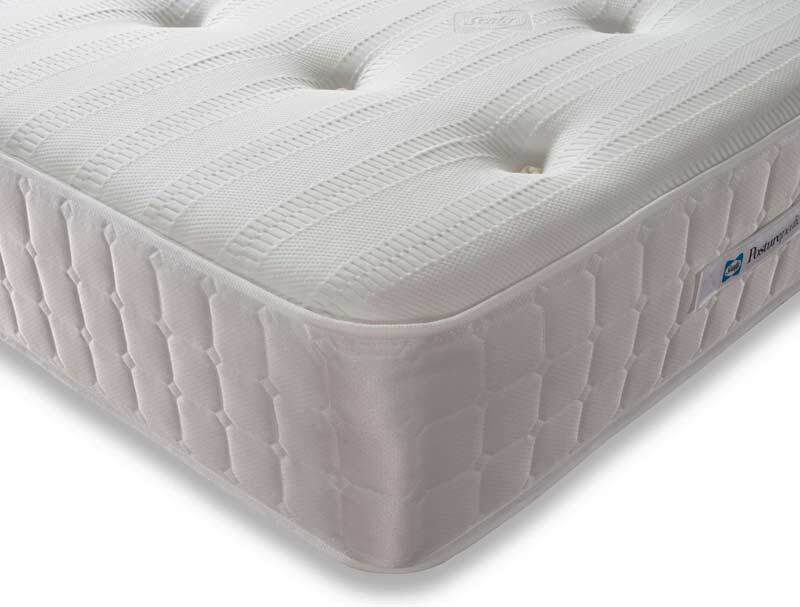 This non turn white fabric covered mattress contains 1300 pocketed springs in a 150cm king size mattress along with Sealy patented unicase spring system to alleviate sagging. Couple this with a zoned pocket spring system for an excellent night’s sleep. The mattress is further enhanced with 3 barrier fabrics firstly Sealy smart fibres to provide a cool, fresh, dry and hypoallergenic sleep. Then Tencel, a natural cooling fabric that is 100% organic and biodegradable with excellent moisture absorbency. And finally Adaptive, a fabric that responds to the environment or room temperature to change the warmth in the mattress and remove moisture for a cool dry peaceful sleep. 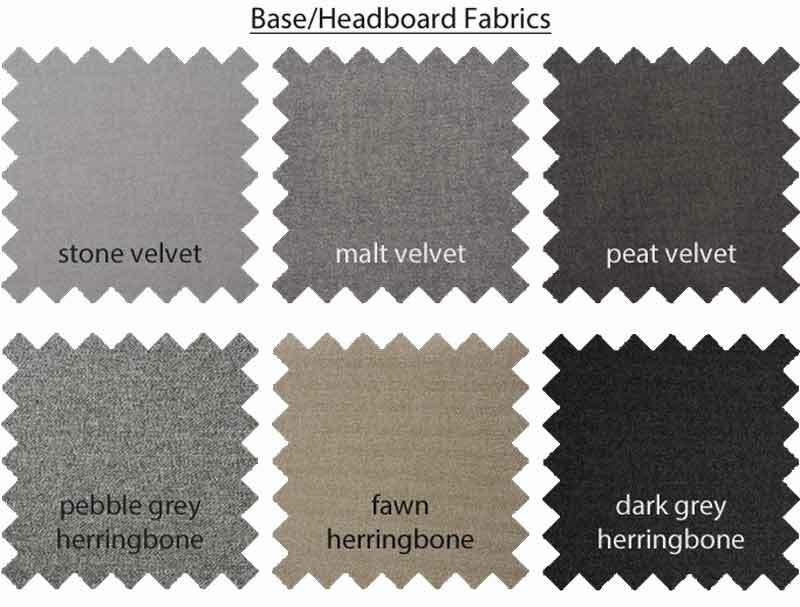 The base comes in 6 colourways Fawn, Stone, Malt,Peat, Pebble and Dark Steel . Drawers are an option with 2, 2+2 or 4 drawers of which currently 2 drawers are free of charge. If storage is important to you why not upgrade to an end open ottoman base available with manual opening . The headboard pictured is called the Malvern it is part of a range of 6 headboard designs 3 on wooden legs and 3 floor standing , the headboard is not included in the price but is available to upgrade and will be made to match the base if required. Like all Sealy beds it comes with a 1 year guarantee, followed by a 9 year warranty.